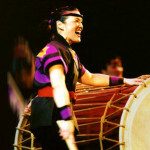 PJ Hirabayashi is the Artistic Director Emeritus, former Artistic Director, and founding member of San Jose Taiko (SJT), a world-class performing ensemble of taiko drummers. 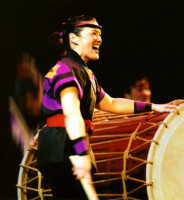 She is a pioneer of North American taiko, recognized in the international taiko community for her distinctive performance and teaching style that combines movement, dance, drumming, fluidity, joy, and energy. 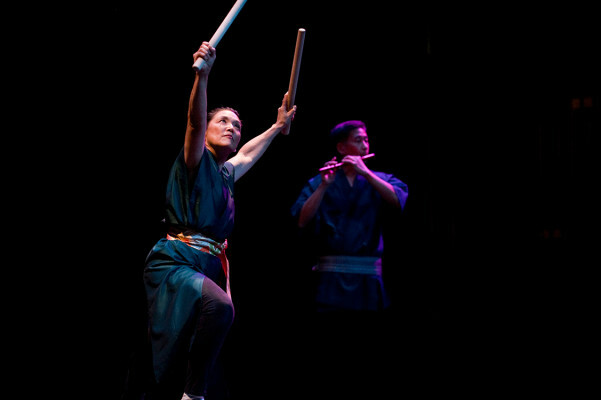 PJ’s current project is TaikoPeace, an extension of Karen Armstrong’s Charter for Compassion. 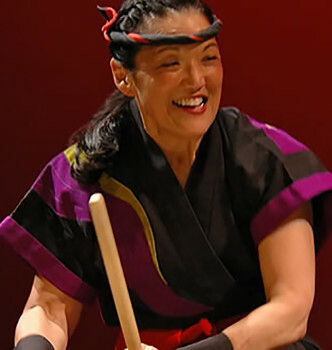 As a certified Peace Ambassador for the Shift Network’s Summer of Peace 2012, PJ seeks to inspire personal, social, and global change through the music and art of taiko drumming. Receiving the Fellowship/Laureate at both times (2011 & 2014) came at pivotal times in my career, where the awards helped me navigate through my purpose as an artist. I continue to evolve, more consciously integrating peace and community building into my work. 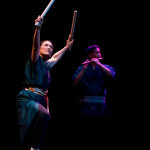 After 38+ years guiding San Jose Taiko, Roy and I transferred our leadership in 2011 to the next generation. Preparing for succession was humbling. I had to go deep inside myself to ask, ?What is my next step?? I have always felt that taiko is a tool for transformation and peace and I firmly believed that SJT?s processes and values are a model for peace. With that conviction and the inspiration of Karen Armstrong?s Charter for Compassion, I developed TaikoPeace, a movement (mindset, mantra) dedicated to unleash creativity, spark new connections of co-creativity, and heal the human spirit through the dynamic energy of taiko drumming. In June 2014, I brought the message of TaikoPeace to the Holy Land Trust?s Bet Lahem Live Festival in Bethlehem. ?Last November, I?returned from Japan, after a 3-month residency sponsored by the US/Japan Creative Artists Program. Create genuinely from the heart. Don't force the process onto yourself or onto others. Heralding cooperative placemaking for arts.